Did you get a chance to read my guest opinion to the Oregonian about the need for more first-hand education experience in Salem yet? Check it out below, or online here. I began teaching when I was 21 years old, and I’ve taught in Oregon’s public schools ever since. After more than four decades in the classroom, I retired from Glencoe High School this June and began my campaign for state representative. As a result, I have had a rare chance to not only reflect on my own experience in education, but hear directly from hundreds of families about the challenges and opportunities they feel our schools are facing. It has become more apparent than ever that we have a huge amount of work to do in Salem to give our kids the education they need. However, I believe a few consistent issues can help us build a road map for where to start. The most common education concern I have heard from families is class sizes, and this topic hits particularly close to home for me. When I started teaching in 1971, I had an average of 25 kids per class. When I retired a few months ago, that average had soared to about 40. In the speech and debate courses I taught at Glencoe, increased class sizes meant the difference between giving each student the time to practice their public speaking in front of myself and their peers — or being forced to have half the class record their speeches in front of a camera so I could watch and grade them at home. It is not just rhetoric to say that a single teacher can’t do the same job in a classroom of 40 students that they can in a class of 25. Elected officials need to invest more in schools, but also make sure that those investments are being made directly in the classroom so we can hire enough teachers and aides to give our kids the class sizes they need to get personal attention. Another concern is that the pressure to make sure kids excel on standardized tests has tied the hands of educators and parents. We can’t just teach to the test. We need time for enrichment, problem-solving skills, and critical thinking — not just memorization of a formula for a test question. Before we consider implementing more standards, we need to let the dust settle and give teachers the independence to help kids learn to think and solve problems, rather than forcing a one-size-fits-all approach. Finally, we have to make sure that we don’t waste our investment in pre-K-12 education by failing to provide a path to college or career for students. We need to ensure access, quality, and affordability in our post-secondary education system. Washington County has come to be known as the economic engine of Oregon, but the reality is that we can’t have the qualified workforce we need if we continue down the road of making higher education something only the wealthy are able to pursue. We need to continue working for smart partnerships that allow us to increase opportunities for educational attainment all the way from our high schools to universities, while also investing in vocational and training programs at Portland Community College. 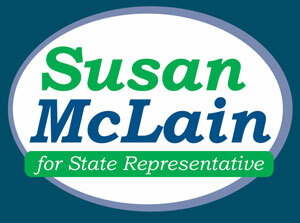 I’m running for state representative because I believe we need more first-hand education experience in Salem. As a teacher, mother, grandmother and long-time resident of House District 29, I know that now — more than ever — we need a strong and experienced voice for our schools. We don’t have an easy path ahead of us nor a magic solution to all of our schools’ problems. But after 42 years in the classroom, I’m ready to commit to the long and hard work that we must do to give our kids the education they need and help Oregon have a more prosperous future.